Josh Tillman (a.k.a. Father John Misty) will play to a sold-out crowd at Music City’s Mother Church the Ryman Auditorium next Tuesday, Sept. 26, in support of his acclaimed new record Pure Comedy (Sub Pop). 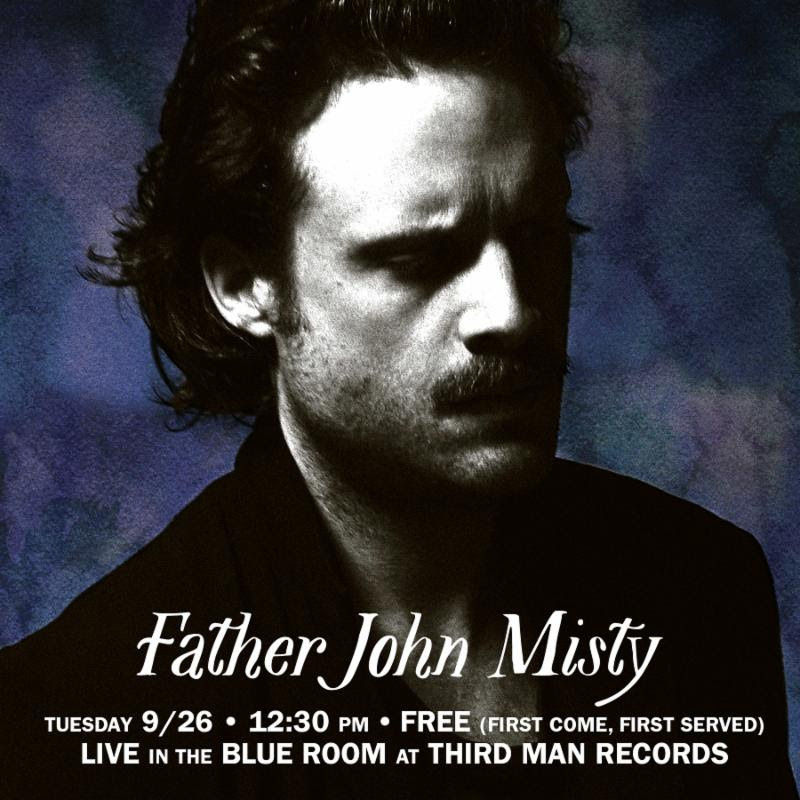 Earlier that day, he will play a free, acoustic solo b-show at Third Man Records’ Blue Room in Nashville. Known for being the only venue in the world with the capability to record live performances direct-to-acetate, The Blue Room will open its doors at noon for a 12:30 short set, which will be recorded by Third Man engineers on the in-house 1955 Scully Lathe for future release. One lucky, randomly-chosen attendee will walk away that day with a 10″ vinyl record, cut to disc on-the-spot during the performance. Food trucks will be on site, and beer will be available for purchase. Black and blue records will be ready for pre-order following the set in the Third Man Records storefront for those in attendance. Nashville’s Lightning 100 will give away 25 pairs of guaranteed-entry tickets, and the remainder of the Blue Room’s capacity will be filled on a first come, first served basis via the Third Man Records box office when doors open for the show.